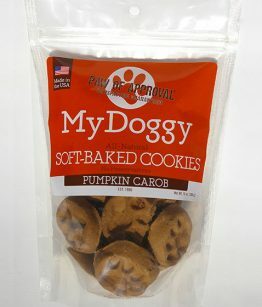 As promised, our new protein line of tasty, soft baked treats is ready to ship, right now! 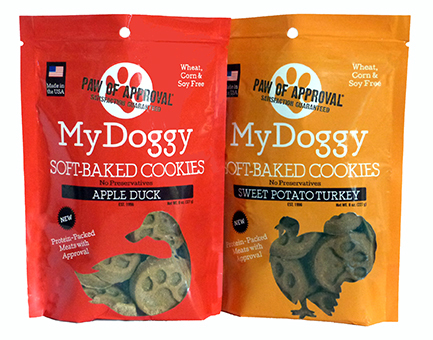 These meat-based treats come in two delicious flavors, apple duckand turkey sweet potato, packaged in convenient 8 oz resealable pouches. 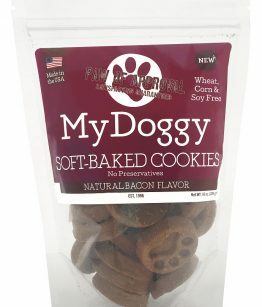 The line was launched mid-September via the Bark Box. 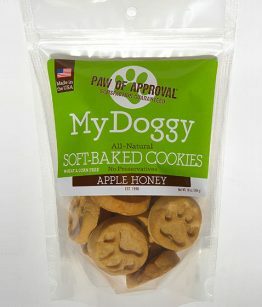 The flavor featured was Apple Duck, and the many dogs who tried it, love it! 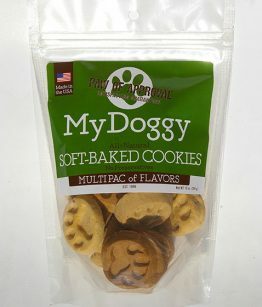 Dogs love protein; it’s part of their diet. 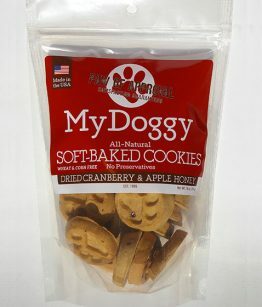 Dogs love My Doggy Soft Baked Cookies (20 years and counting! ); it is (or should be) their number one go-to treat. Putting these two concepts together, voila! We have a new line that tastes and is good. Now back to the imploring…We’re confident your dog will love our Apple Duck and Turkey Sweet Potato protein flavors, and we encourage you to order away on their behalf! We’re sure you will score major dog parent points when the packages arrive!